Christmas tree collection in January will not affect residents' regular trash limitations, it does not count against youry weekly trash limit. 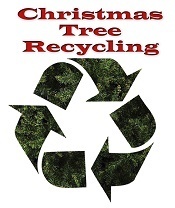 Those in hand collection areas may leave up to 10 kitchen-size bags of trash in addition to one Christmas tree. Those in cart collection areas may leave up to two carts of trash in addition to one Christmas tree. If you cannot cut and bundle my tree for collection on my regular trash day, you may leave your tree at the curb on your monthly heavy trash collection day. Trees left for pick-up on heavy trash days do not need to be cut and bundled. Each tree will count as one heavy trash item. After January, residents may place their trees at the curb on heavy trash days for collection. Each tree will count as one heavy trash item. Tuesday and Wednesday: 12 pm to 4 p.m.
Thursday and Friday: 9 a.m. to 5 p.m.
Sam's Club - 6736 Lima Road. Monroeville, 110 1/2 South Street; diffferent hours from those above: daily from 8 a.m. to 6 p.m.
Carmel, IN - Free Christmas tree pickup is available curbside on your regular trash days beginning January 1st. Please remove all decorations and do not bag your tree. Christmas tree pick up is included in the program at no additional cost. Please have Christmas trees cut in half and laid next to the trash cart. 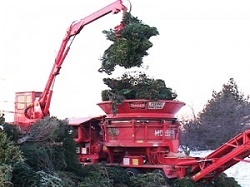 Goshen, Indiana - Christmas Tree Disposal - Goshen Street Department workers will pick up discarded Christmas trees December 29-January 23. After removing the tree stand and all lights and decorations, City residents may place their tree by the street curb. No artificial trees will be collected, and no collections will be made from City alleys. Please note that snow events will take precedence over the collection of discarded trees. Residents wishing to personally dispose of their tree - and all remaining trees after January 23 - may take it/them to the Environmental Center at North Indiana Avenue and County Road 19 (the first left turn north of Wilden Avenue) Monday through Friday between 8 a.m. and 4 p.m. The trash-collection service will not take your discarded tree. If you have questions, contact the Street Department at 534-9711 or streets@goshencity.com. Greenwood, IN - curbside Christmas tree pickup is offered through January. Trees must be undecorated and not bagged. Trees will be picked up and then transported to the city recycling area on Fry road where they will be turned to mulch. Mulch is generally available for free to Greenwood residents but no information is available at this time. Electronics such as computers, monitors, stereos, televisions (Fees apply for TV's and computer monitors) Cash or check only. Checks made payable to JCSWMD), Cell phones with cords and chargers, PDA"s or Blackberry devices, MP3 players or IPods, Printer ink cartridges, Rechargeable batteries: includes rechargeable household batteries, button batteries, power tool batteries, Nickel Cadmium (Ni-Cd), Nickel Metal Hydride (Ni-MH), Lithium Ion (Li-ion), Nickel Zinc (Ni-Zn) or Lead (pb) under 2 lbs. For more information on recycling rechargeable batteries, visit the Rechargeable Battery Recycling Corporation, www.rbrc.org . We are not able to accept alkaline batteries at this time. Unfortunately we can not accept alkaline batteries at this time. Place them in with your regular trash. All trees must be placed at the curb by 6:00 a.m. on the day of pickup. Trees should not be placed in the street or alley. Cars should not be parked on top or in front of the tree, as this could hamper crews from collecting it. All lights, ornaments, plastic coverings/wraps and metals, such as nails or tree stands, must be removed from the tree prior to pick up. Items left on trees can injure employees or seriously damage the tree shredding equipment, leaving it inoperable. Artificial trees and trees containing any metal, glass or wire will not be collected. Residents will be responsible for the proper disposal of these items. Free Christmas tree pickup only includes the removal of one tree per household. 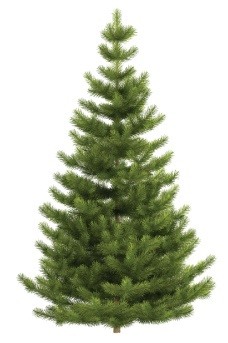 Additional Christmas trees can be removed and billed at a rate of $10 per tree. After January 31, any Christmas tree pickups scheduled will be used as the residents' free monthly yard waste extra pickup. Westfield, IN - offers curbside pick up of trees through the week of January 15.